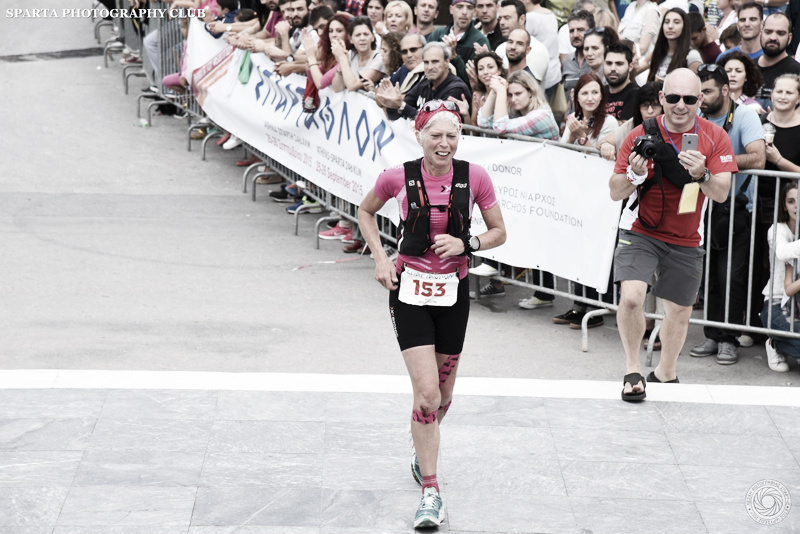 The 2015 Spartathlon event has now been completed, some dreams have been realised and others have been left unfulfilled with some runners planning a return trip in the future. 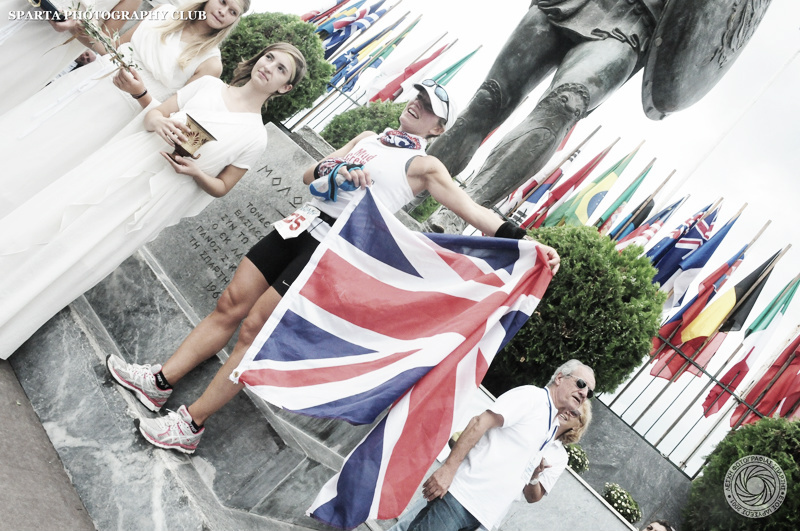 For the British Spartathlon Team this was probably the biggest year to date with a record number of British entrants (21) along with a good turnout of crews and supporters all outfitted in the team kit, which gave the team a strong, a visible presence. In addition supporters in the UK could also track the runners progress thanks to some increased social media presence, live tracking courtesy of Race Drone and live streaming of the race through the official website. We would like to acknowledge everyone who helped, supported, contributed to or made a donation to the British Spartathlon Team. The team bonding, presentation and visibility of the team was a huge success and particular thanks should go to Rob Pinnington and Paul Ali for all their hard work and organization behind the scenes. 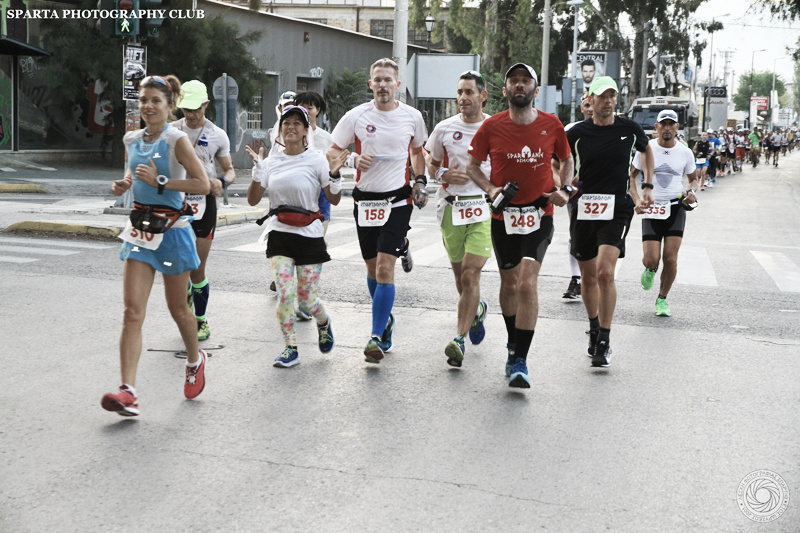 The runners set out under the cover of darkness from the Acropolis at 7am on he Friday and made their way down the cobbled streets and through the pedestrian precinct heading out onto the roads of Athens. The temperature was cool at first but soon started to warm up as the morning clouds dispersed and the sun began to beat down on the runners as they headed out through the traffic filled streets to the sound of blaring horns and early morning commuters. 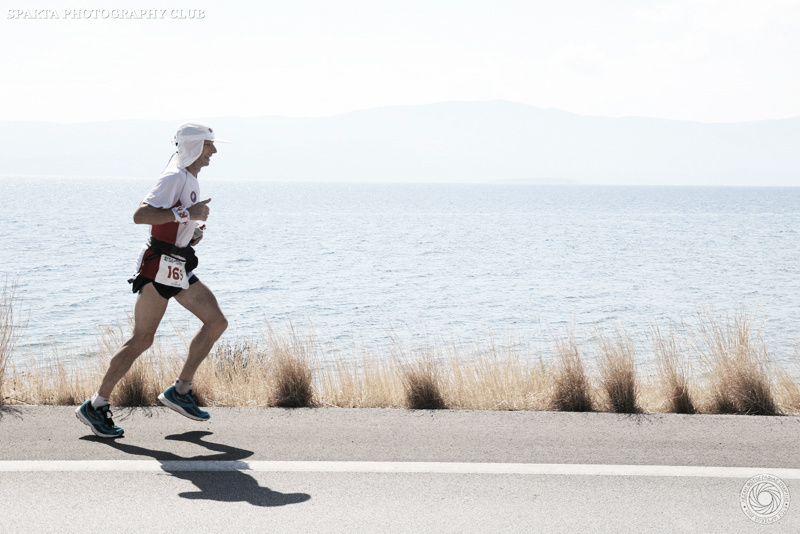 After several miles running west of out Athens, the runners hit the coastal roads where they started to experience the full effects of the sun. The temperature felt hotter than had been forecast with readings of 34-36 degrees mentioned. The British runners were already started to feel the heat and had to employ various tactics to keep them cool. 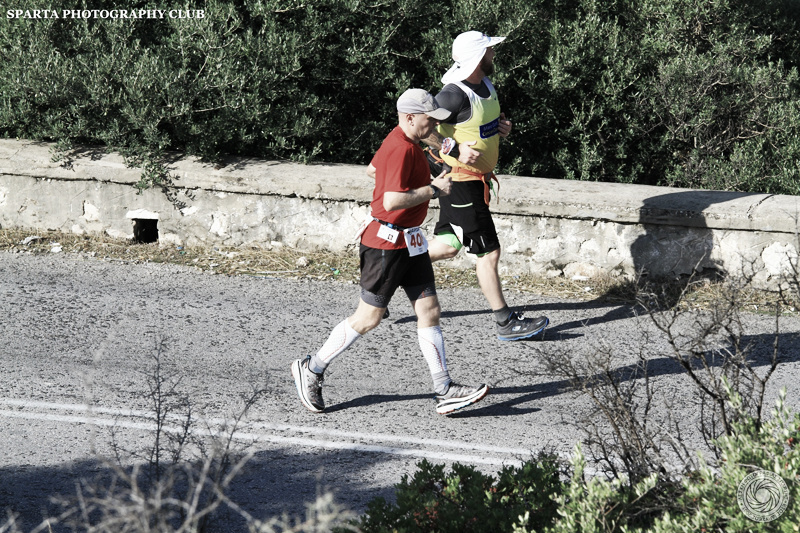 The British runners continued along the exposed coastal paths, caught between the relentless punishment of the sun and a glorious view of the Saronic Gulf its bright blue cooling water teasing the runners. The coastal path is undulating and the impact of many miles on the roads was already starting to tell as runners started to experience aching quads. 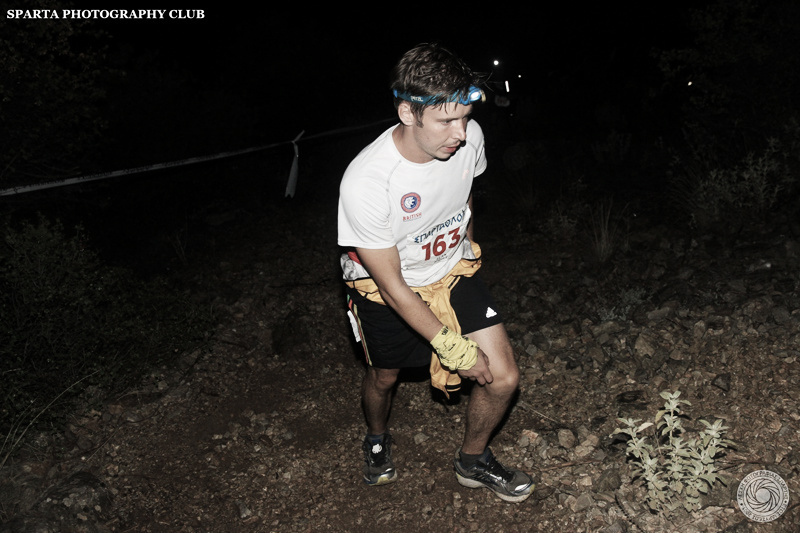 The runners push on regardless aiming for the major 50 mile Checkpoint at Corinth which needs to be achieved in 9:30 hours. Following Corinth, the runners follow some long roads through small farmlands, villages and hamlets trying to hold out for a few more hours until the promise of cooler evening temperatures. 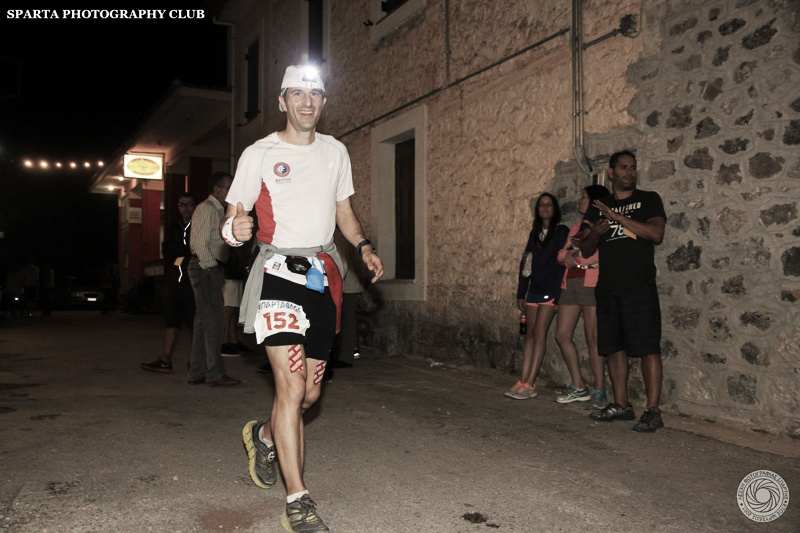 Light turns to dark as head torches are switched on but there is no let up as runner’s progress along more undulating roads and head towards the infamous mountain pass at 100 miles. It is now the dead of night, the only sounds that can be heard is the occasional vehicle passing by or the sounds of dogs barking in the distance. Rain had been predicted the next day but ahead runners could see some amazing electrical storms in the distance which illuminates the night sky. 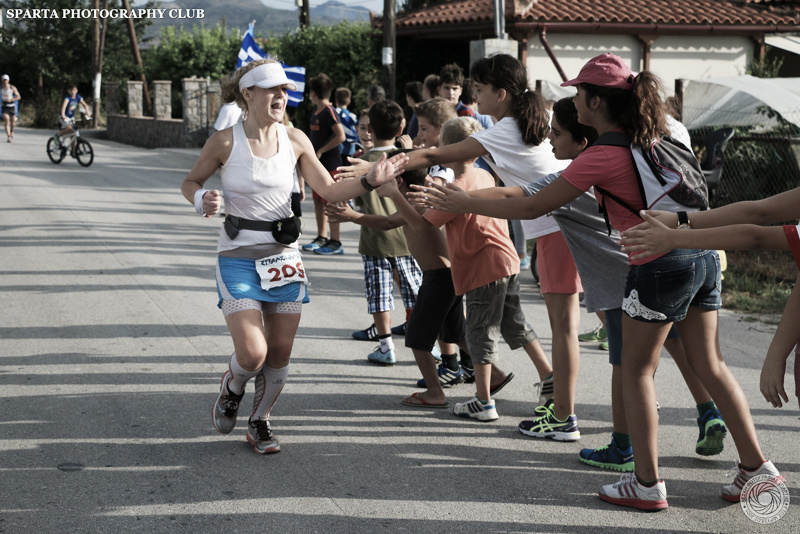 The British runners push along the road and up the switchback trail leading to the mountain base where there is a warm reception particularly for British runners by the Anglo-Greeks running this checkpoint. The mountain climb itself is not steep but is energy sapping as runners now resort to hiking up the trails covered in loose stones and rock, occasionally glancing ahead hoping to see the summit to find their hopes dashed with the occasional flash of head torch higher up in the distance. After a mile or so of climb, they reach the summit where after a brief pause they start descending down the other side. The downhill section can be brutal for those with aching quads and the loose rock presents small dangers as runners occasionally slip and slide down these paths before exiting the mountain paths and heading back onto firmer ground. It’s now the early hours of the morning and torrential rain starts to fall, some runners put on their rain jackets, others grab them from drop bags and others fashion tabards and jackets from bin bags or borrow poncho’s from volunteers whilst a few settle for the cooling waters of the rain. The rain continues on and off during the remainder of the night and into the next day as runners continue along the roads through hamlets and farmlands. The terrain is flatter but there is a long and arduous climb as the route turns onto the main dual carriageway leading to the City of Sparti. This section is soul destroying, with a climb that seems to go on forever promising a glimpse of the end but never quite delivering this. The weather is cool but with the last traces of rain disappearing but before long it starts to warm up again. This last section of 30 miles at the end can take anything between 5 – 10 hours. 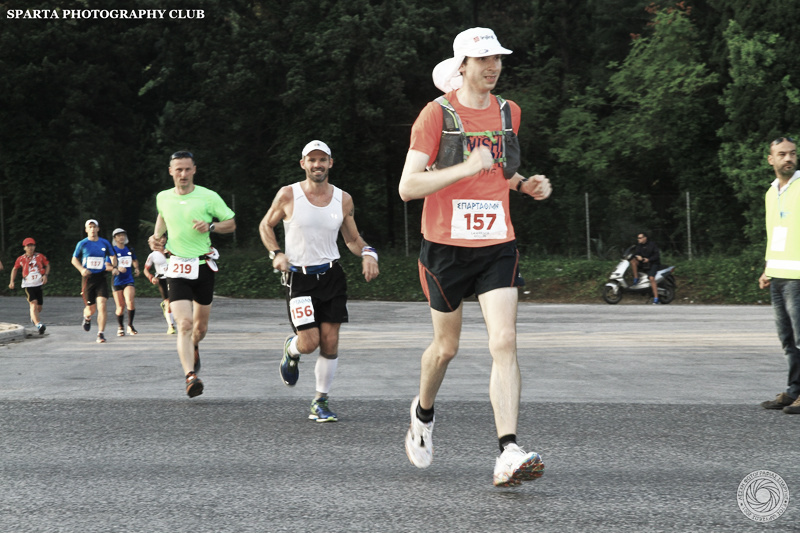 Eventually, you reach the Half-Marathon point and it is then all downhill into Sparti. The edge of the city looks deserted with few cars or people around but as you head into the outskirts of the city, the volume of cars, cheers and support increases as the runners are given an enthusiastic welcome. Runners cross the roundabout at the last checkpoint with 1.5km to go and feel energised that the end is so close. Weary legs find some new strength and energy as people break into a run at the finish along the high street. Runners look up, straining to see the end as they start to approach a crowd of people who wave, offer applause and cheer wildly as they arrive. This last few yards is a moment to savour. 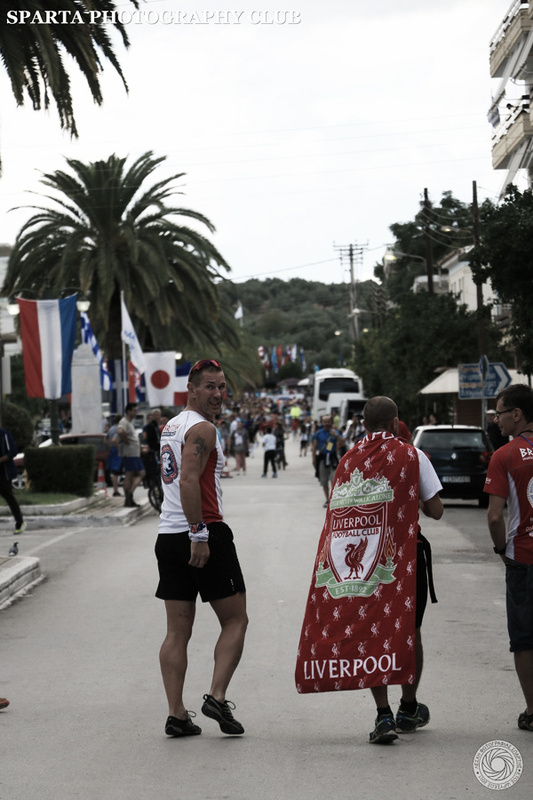 Some people arrive, fist clenched, mouth grimaced holding back that raw emotion; some runners celebrate in style, cheering and hollering or waving flags of all nationalities. A few however, are simply satisfied that this journey is over. The finishers carefully tread those last few steps up to the statue where they are greeted by an Spartathlon official and led to the foot of the Statue of Leonidas who overlooks the finish area and runners ‘kiss the foot’ to complete the formalities of the race. The race now over and their journey complete. Unfortunately, with a race of this nature and difficulty not every runner was successful and we are sorry to report that Jon Steele, Paul Stout, Martin Ilott, John Volanthen, Paul Corderoy, Tremayne Cowdry, Sharon Law and Pat Robbins did not finish the race. However, the British Team did record a 65% finish rate which was higher than the race average of 45% and it was a good year overall for British runners. In terms of individual performances, the standout effort was from Dan Lawson who has had a fantastic year to date winning the GUCR and Ridgeway Challenge with new record times and a strong contender for a top ten position. Dan ran a superb race and was front-runner for long periods of the race before eventually finished second overall in 23.53. This was the 3rd fastest British time of all time and a fantastic achievement. After finishing the race under the cover of darkness Dan then spent the rest of the day out supporting the other British Runners. We should also mention Dan’s daughter Ruby who was great fun over the weekend and was adopted as the team mascot and doubled up with medal collection responsibilities! Next to arrive was Debbie Martin-Consani who had a great run finishing 5th lady in a time of 30.36 with a very strong performance. 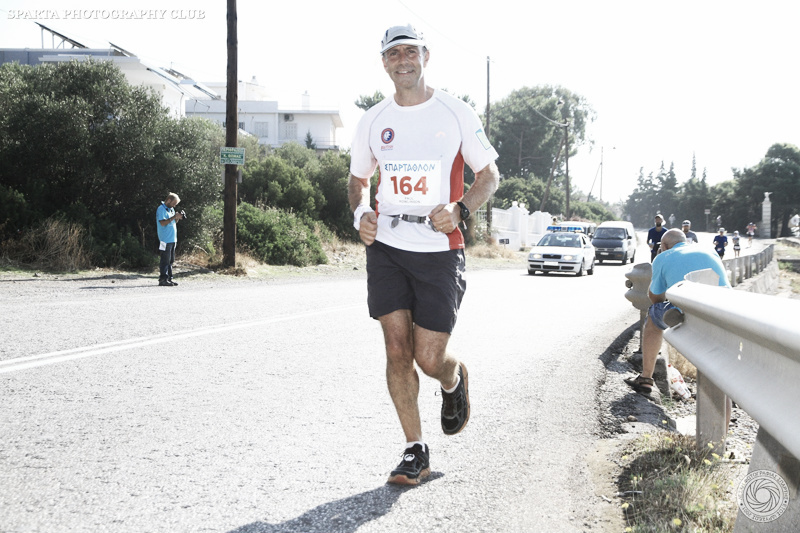 Ian Thomas was completing the event for the first time and was the team’s oldest runner at the age of 56. Ian proved that age is no barrier with a superb run finishing the race in 31.33. The next group of runners all arrived together with Isobel Wykes, Paul Ali and Lawrence Eccles all running the last 30 miles together and finishing in sequence. Despite a tough first day, Isobel Wykes showed some good determination to turn her race around and finish in 32.30. Paul Ali was returning for the second time after successfully completing the event in 2013. Paul was determined not to be complacent and had trained very well in the build up for this race. Despite losing his lucky hat on the course (which was later found by Mimi and Crew running the return leg) he put in an improved performance finishing in 32.36. Lawrence Eccles was returning after some disappointment at last year’s event. Lawrence capped off a fine year of running after strong performances at Lakeland 100, Dragons Back and TDS races and now a Spartathlon finish in 32.36. Neil Cloke was completing the event for the first time and despite describing and describing himself as no ‘road-runner’ finished a comfortably a couple of hours under the cut offs in 34.02. Rob Pinnington was returning to the event after multiple DNF’s in the past and the person who was probably the most determined to succeed this time. Rob had trained harder than he had ever done before, reduced his weight and got himself in shape for the event. 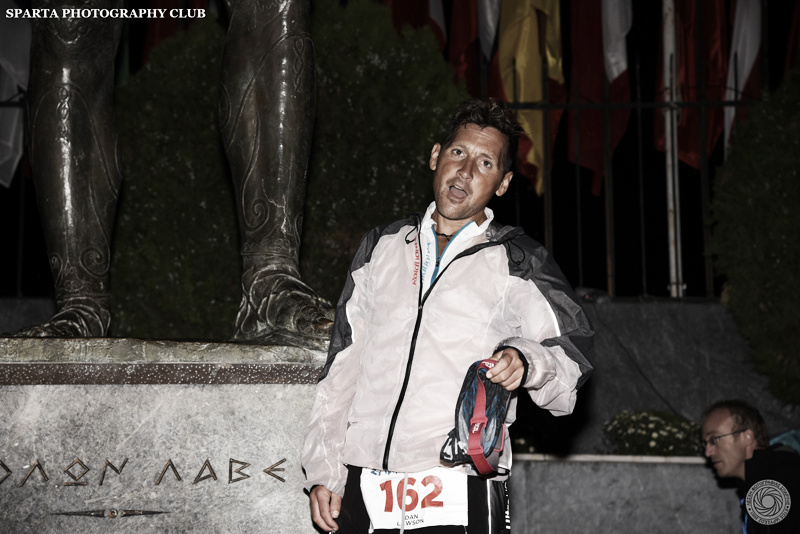 His patience and perseverance was finally rewarded as he achieved his first Spartathlon finish in four attempts which was very well supported by the entire team, all the supporters and everyone in Sparti it appeared! Rob finished in 34.44. The team would also like to offer their thanks to Nick Papageorge who was the ‘go to’ guy for any issues and he kindly sorted a few minor issues for the team over the weekend, top job Nick! Sean Maley had accompanied Rob for a large part of the run and had finished in 34.45. Sean has had a great year of ultra running being the only person to finish the JOGLE (John O’Groats to Lands End) and winning La High and the Spartathlon finished capped off a fine year. Paul Rowlinson had attempted this race unsuccessfully last year and was returning this year to make amends. Paul by his own admission shaved a few of the cut offs within the first day but stuck to his task and kept moving forward, showed some good effort and determination and finally started to build some time over the cut offs on the second day finishing in 34.52. The effects of the race were apparent after the race when Paul required some medical attention but thankfully after some rest, care and nutrition he was back on his feet to enjoy the celebrations. Mimi Anderson was returning to the event, two years after a heart-breaking drop out at the last checkpoint. 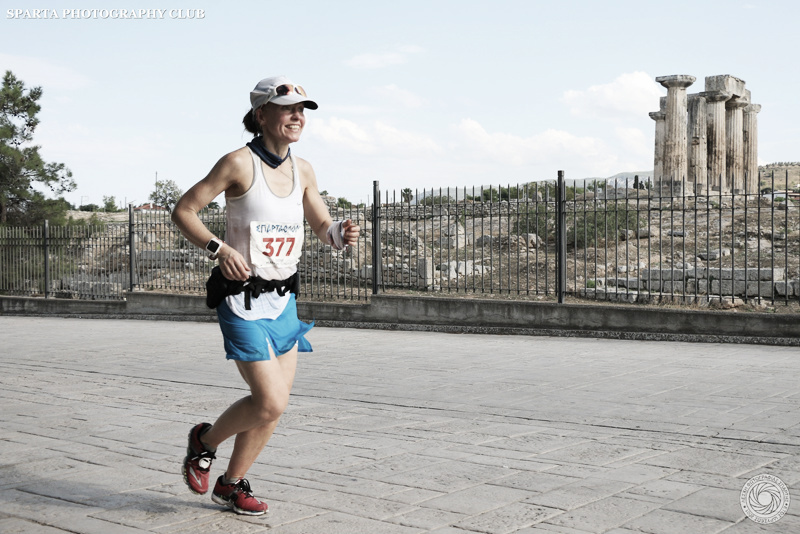 Mimi was once again aiming for the double (a run to Sparta and then a run back to Athens). Mimi completed her first leg in 35.07 with an emotional finish before setting off the next day at 5am and completing the return leg ably supported by her crew of Tim, Paul & Becky. This was a remarkable achievement for Mimi who continues to push her boundaries with new endurance challenges. Our final two finishers were the pairing of James Ellis and Jamie Holmes who ran the entire event together along with their crew of David, Andrew and Darren who were fine company and supportive of all the other runners. Both guys completed the event in 35.39. Despite some successes and some failures, the team had a fantastic few days together. We would also like to thank and mention all the supporters and crew who came along to support not just their individual runners but also the entire team. In particular thank you to Sarah, Russ B, Russ T and Sandra who were our camera crew for the event and have helped bring this years race to life with some excellent photographs which has really captured the emotion and feeling of the week. So that’s it for 2015. Congratulations to those runners who realised their dreams and commiserations to those that did not. We hope you will come back to fight another day (and pretty much everyone with unfinished business said they would be back).